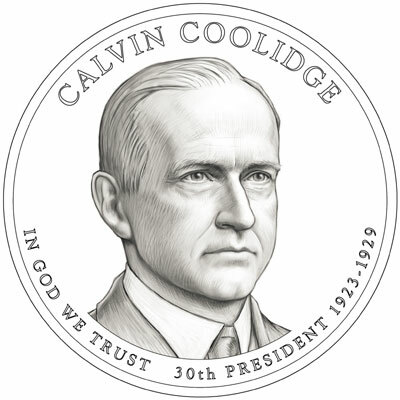 As the four new arrivals in the “Presidential $1 Coin Program” this year include Calvin Coolidge, coming in April, it is fitting to look back on a much older, even more distinguished coin from 1926. 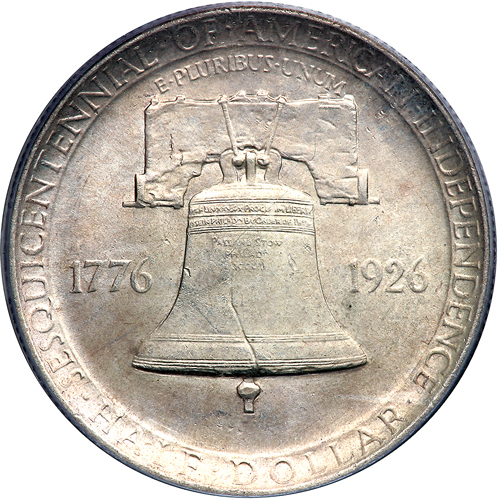 The coin is, of course, the Sesquicentennial half-dollar commissioned by Congress at the request of the National Sesquicentennial Exhibition Association and struck for special distribution at the Exposition in Philadelphia between June 1 and November 30, 1926, marking the one hundred and fiftieth anniversary of the Declaration of Independence. It is unique as the first and only coin to be struck on which appears a President not only within his lifetime but also during his term of office. 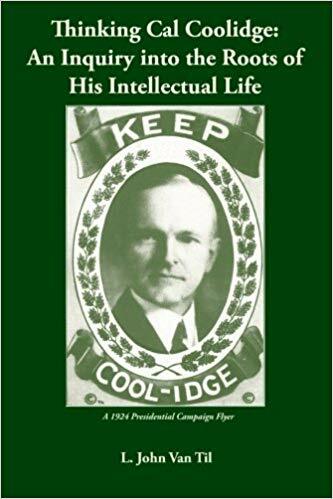 It is extraordinary that Calvin Coolidge was accorded this singular honor, a level of recognition not bestowed on any other President and only three other living individuals. 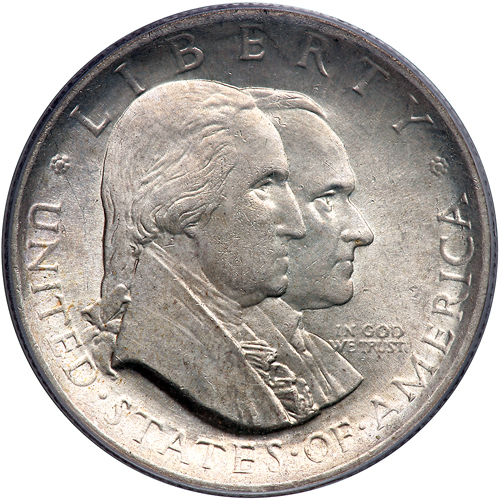 It is unfortunate that the Association insisted on a technique, though popular with numismatists at the time, produced too shallow a relief in the striking that even a mint condition half-dollar looks worn and poorly produced. If only the Association had required a sharper relief of John Frederic Lewis’ striking design. While the Chief Engraver of the Mint, John R. Sinnock, whose designs were turned down, should not have taken credit for the final result, it is also unfortunate that the coin was so under-promoted and poorly struck that it did not sell better than it did — only 140,592 coins selling out of 1,000,528 (the rest going back to the Mint to be melted down for other uses). Unfortunately, Sinnock would incorporate Lewis’ style in the better known Roosevelt dime (1946) and Franklin half-dollar (1948), likewise without proper credit. 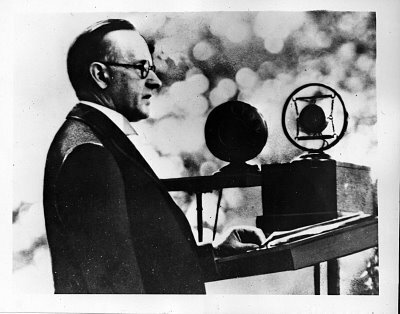 Asked about the upcoming Exposition in Philadelphia during one of his press conferences in December 1925, knowing that both he and the coin would be present at so historic an occasion, Coolidge responded with that characteristic twinkle in his eye: “There isn’t anything very definite that I can say about the Sesquicentennial Exposition at Philadelphia. I suppose I am booked for exhibition and that will probably be on the 4th of July” (The Talkative President p.13). His speech marking the anniversary of the Declaration is still one of the most quoted, most eloquent, most insightful and among the greatest speeches ever given by an American President. He would be an exhibit at the Exposition…or did he mean, he would exposit at the exhibits?